Marvel held an epic event in Hollywood today, where they revealed their upcoming slate of movies through 2019. The final two movies announced were Avengers: Infinity War Part 1 coming in 2018 to be followed by Avengers: Infinity War Part 2 in 2019. During the event, a teaser trailer was shown for what will possibly be the biggest Marvel event in the history of the studio. That trailer has now come online for all to see, and we have it for you here. 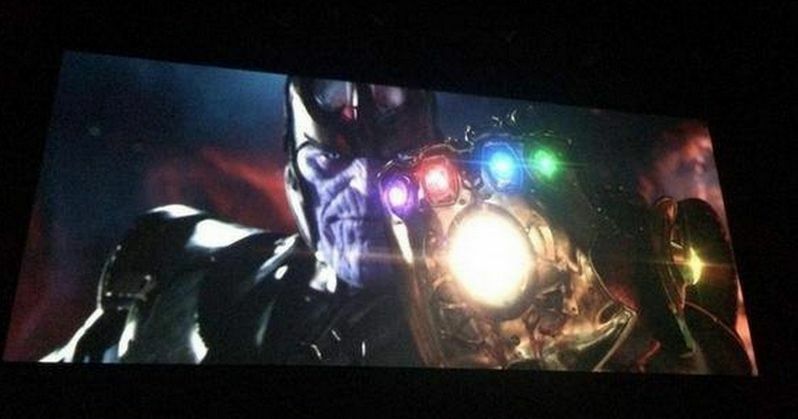 The footage contains a collage of footage from past Marvel movies, and culminates with The Mad Titan Thanos holding the Infinity Gauntlet, leading to the official logo for Avengers: Infinity War Part 1 and Avengers: Infinity War Part 2. Check it out before it's too late, and be sure to watch the entire panel in the video at the bottom.